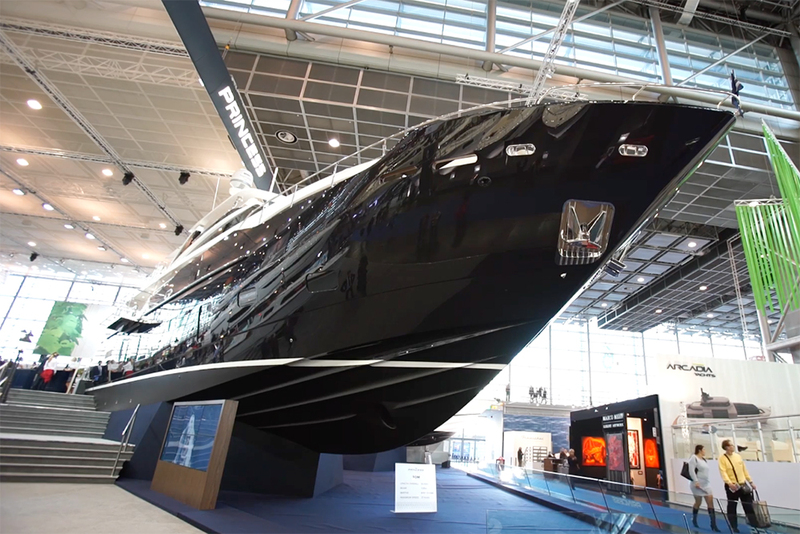 The first of the next generation of V-Class sport yachts, the Princess V58 Open is to premiere at the Southampton Boat Show. 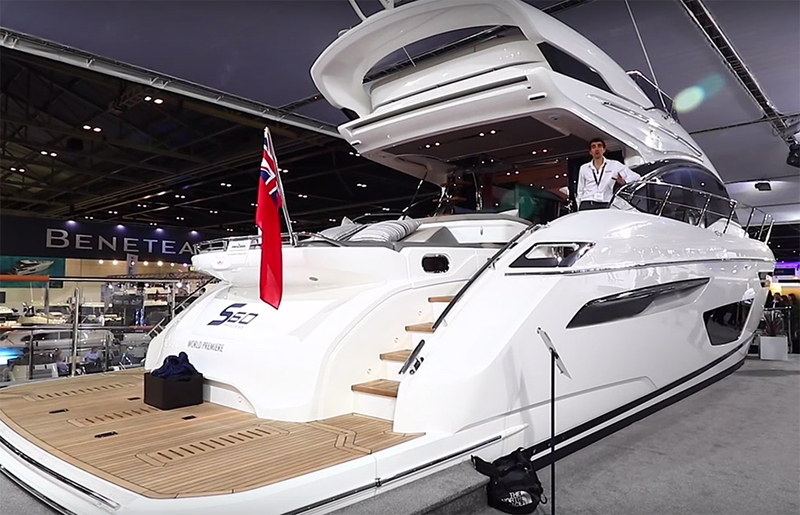 High-end Plymouth-based builder, Princess Yachts, is planning to use the Southampton Boat Show as the venue of choice for the launch of its new V58 Open. 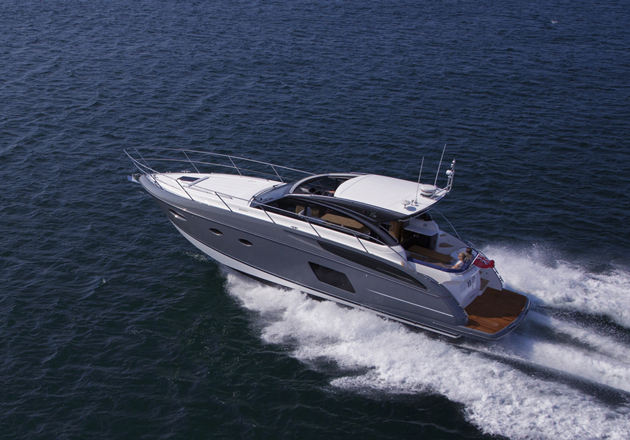 The new Princess V58 Open will make its debut in Southampton this September. 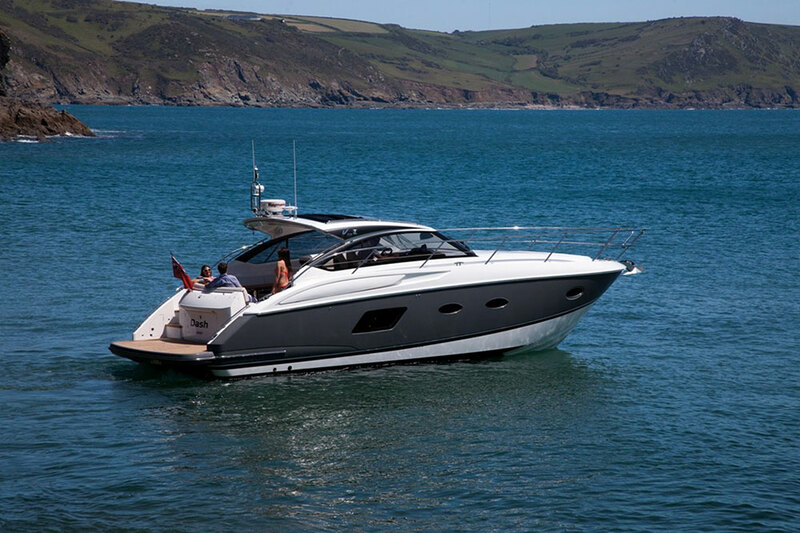 Designed as the first in the next generation of high-performance V Class sports yachts, it follows closely in the wake of the award-winning V48 but factors in some dynamic new features, not least in terms of the external styling. The most obvious manifestation of that is in the replacement of the traditional oval portholes with a much more modern single-piece hull window that stretches around half the length of the boat. Inside, these “dynamic portlights” are designed to fill the lower accommodation with natural light. And with space for six people in three staterooms, two of which are en suite (plus the option of an additional aft cabin), the space appears to work very hard indeed. However, the priority here looks likely to be placed on outdoor living. The main deck is all about alfresco entertainment. Up on the main deck, there is some forward companion seating adjacent to the twin helm station, to help keep the Skipper involved in the party. 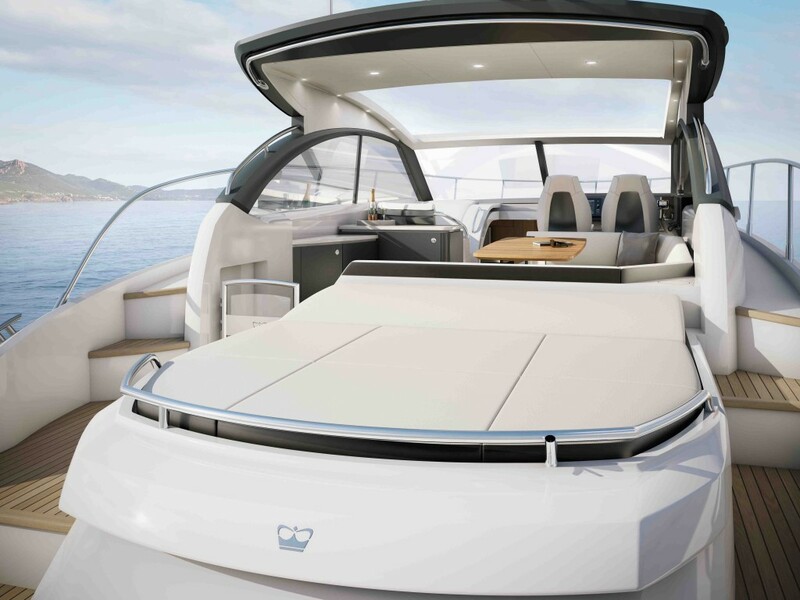 Further aft, the new V58 will feature a wetbar with coolbox, plus a sink, an optional barbecue, an icemaker and a drawer fridge, enabling you to turn the entire space into an alfresco saloon. 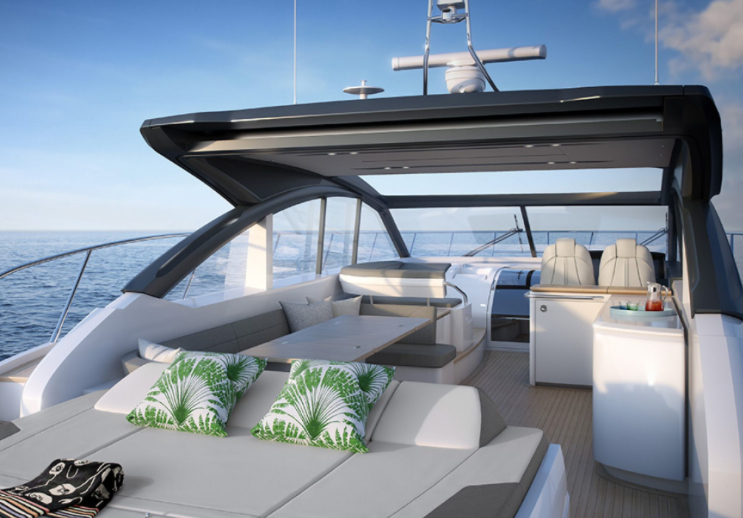 And for those who enjoy the really bespoke-feeling extras, a 40-inch waterproof TV on a lifting mechanism can also be installed behind the starboard furniture for the “ultimate open-air cinema”. 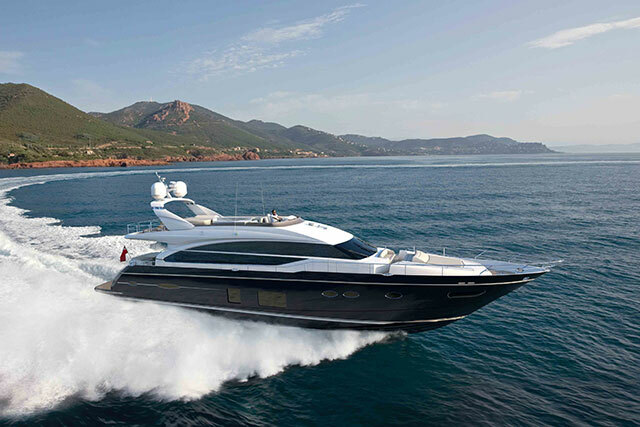 Princess has become known very much as a luxury brand in recent times, with the greater size and opulence of its flybridge and M CLASS superyacht models doing plenty to enhance and reinforce that reputation. 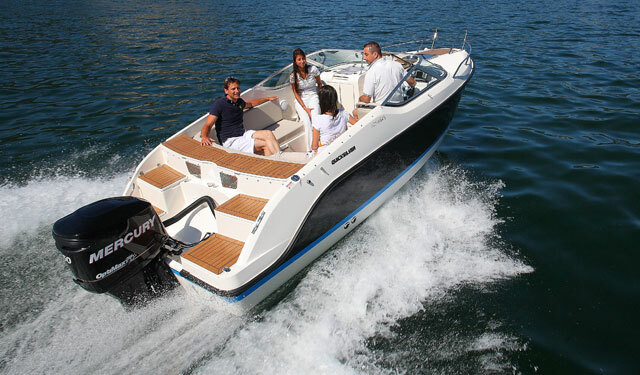 But for those who remember the roots of the marque, there is still nothing like a fast, sporting cruiser to stir the senses (see: Princess Yachts: 50 years). 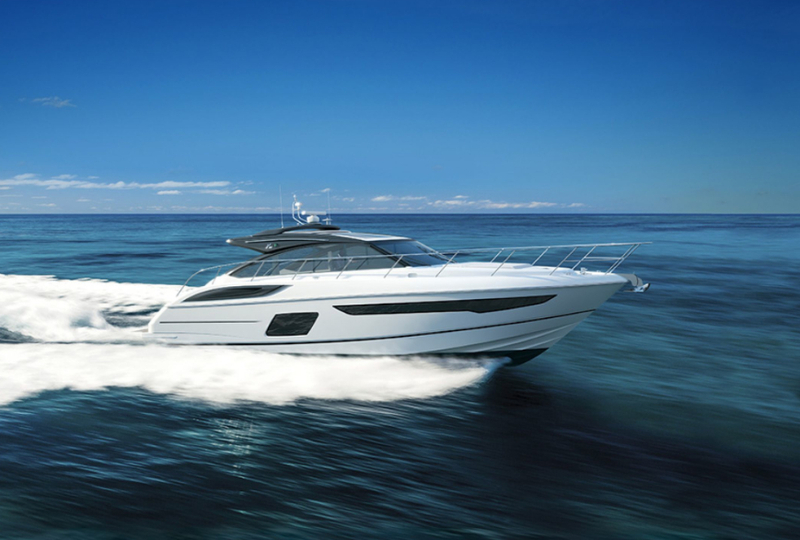 You can check out the new V58 Open at the Southampton Boat Show from 11 to 20 September 2015 on stand E055. Princess V58 Open: main deck plan. Princess V58 Open Lower deck plan.